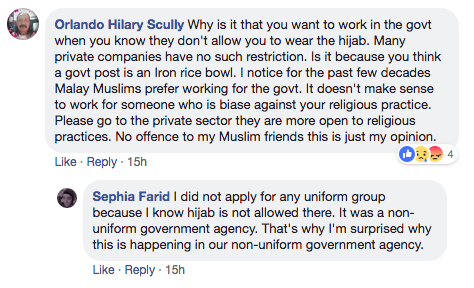 Singaporean Sephia Farid took to Facebook earlier this week to stand up against religious discrimination she allegedly faced when applying for a job. 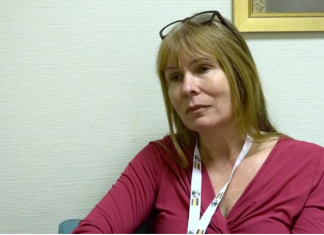 According to her, when applying for a job at a non-uniformed government agency, she was told that she would have to remove her hijab, a headdress worn by some Muslim women. 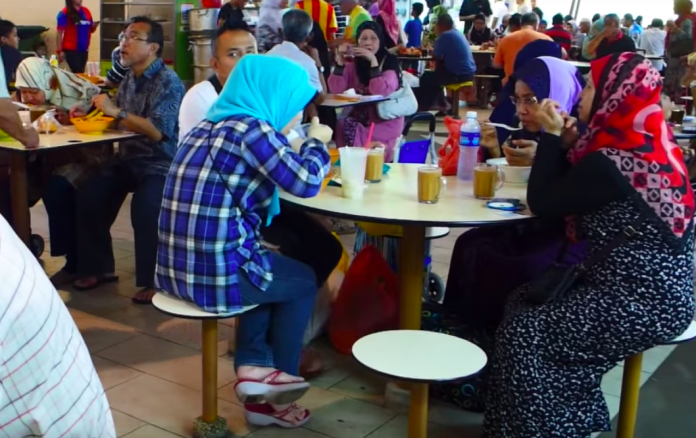 In a Facebook post on Wednesday, she wrote, “I’m a Muslimah in a multi-racial and multi-religious Singapore”. Sephia added that the interviewer told her, “For you to be hired, we require you to remove your hijab. Your qualifications fit the position well, but not the hijab”. Upon hearing this, she said, “I was so shocked and disturbed by this that I turned down the offer immediately because I was not prepared to remove my hijab for the job position in a government agency”. She concluded her post adding, “I’m so ashamed that this happens in multi-racial and multi-religious Singapore”. While Sephia declined to share which government agency she applied to despite many netizens asking her to, she only shared that it was one that did not require uniforms to be worn. Those who commented on her post were supportive of her religious beliefs, however they also expressed that she should share the nature of the job as well because that could play a role in dress code requirements.